Running out of money is the greatest retirement fear. Advice from Morningstar’s Christine Benz and Wells Fargo’s Fredrik Axsater on how to avoid it. Morningstar’s Personal Finance guru, Christine Benz has a simple and workable approach to build an all-weather retirement portfolio. She calls it the Bucket strategy. How Did the Bucket Strategy Work in 2018? The message from the best January market performance since the 1980’s? Listen to the Fed. The Fed’s reversal of policy this week from raising interest rates and systematically reducing its Treasury portfolio holdings last month to suspending interest rate increases and reviewing its monthly bond reductions for now worked wonders on the market. The S&P 500’s 7.9% advance was the best since 1987 and the Dow Industrial’s 7.2% rise was the strongest since 1989. These short-term changes don’t alter the long-term financial prospects for many Americans, which remain worrisome. How concerned are you about having enough money in retirement? How about actually running out of money? In Wells Fargo’s annual retirement survey of 21-72 year olds, 7 in 10 workers said they were concerned about running out of money. 69% don’t know what they would do if they did run out. 38% of workers say it would be a financial hardship to live past the age of 85, yet 42% expect they could do so. Among the generations, Gen Xers, those born between 1961 and 1981 exhibited high stress. With at least a decade left in their careers, 55% describe themselves as struggling or suffering in their financial lives. And less than half say they are saving enough for retirement. What about the much younger millennials – roughly defined as those born between 1981 and 1996? 60% say they are struggling or suffering financially, although they have much more time to make up the difference. 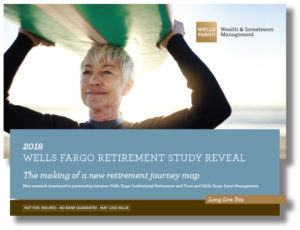 A common theme among all these generations, 92% feel more secure about retirement if they have access to a 401(k) and across all generations they feel considerably more secure, have less stress and more savings if they have a clear financial plan, what Wells Fargo refers to as a “planning mindset”. No matter what age, the greatest fear is running out of money, especially if they live longer than expected. We have two retirement experts with us to provide some perspective and solutions to these concerns. Christine Benz is the Director of Personal Finance at Morningstarand has been a WEALTHTRACK guest since the beginning. During her 25 year career at Morningstar she has helped millions of investors through her columns and books to tackle some of the biggest challenges that can make or break a financial plan. Fredrik Axsater is Executive Vice President and Head of Strategic Business Segments for Wells Fargo Asset Management. His responsibilities include defined contribution and ESG: environmental, social and governance investing. He has devoted much of his career to working with companies to improve their employees’ financial plans and financial health by increasing the participation and outcomes in 401(k) plans. In this week’s exclusive EXTRA feature, Axsater discusses his efforts to work with companies to improve financial wellness among their workers. Plans to automatically increase savings are key. We want to alert you to an exclusive WEALTHTRACKpodcast we are doing with an up and coming next generation portfolio manager. Bill Miller IV has been working with his famous dad for several years at Miller Value Partners. We will be talking to him exclusively on wealthtrack.com about his specialty, the compounding power of generating both income and capital appreciation. 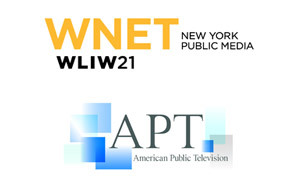 As always, if you miss the show on Public Television, you can watch it on our website. Plus a reminder that if you would like to take WEALTHTRACK with you on your commute or travels, you can now find the WEALTHTRACK podcast on TuneIn, Stitcher, and SoundCloud, as well as iTunes. Find out more on the WEALTHTRACK Podcast page. Thank you for watching. Have a great Super Bowl weekend and make the week ahead a profitable and a productive one. It turns out saving money is harder for us to do than earning it, and there’s research to prove it. 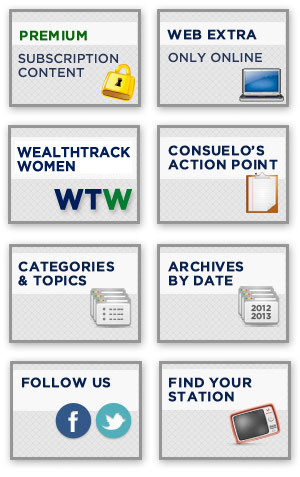 Christine Benz from the WEALTHTRACK Archives: Clcik here if you have trouble accessing this archive. Fredrik Axsater has been working with companies to improve financial wellness among their workers. Increasing savings is key.